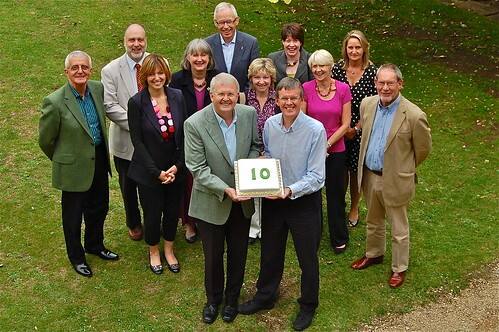 WILTSHIRE-based outplacement specialist Connect celebrated its 10th anniversary this week with a special present for people facing redundancy – a guarantee of help until they find a new job. Connect offers outplacement services to companies across the UK who are making redundancies. Consultants offer employees support in areas such as dealing with the loss of their job, identifying new career paths, CV writing and interview techniques – giving them the best possible chance of finding employment again. And at the company’s celebratory meeting, directors Phil Griffiths and Richard Tadman announced the launch of an industry first – The Connect Guarantee. The guarantee means that help is available to candidates until such time as they are resettled – by finding another job or starting their own business. It is believed to be the first guarantee of its kind in the outplacement industry where, traditionally, companies are sold a fixed number of sessions, or credits for their employees to spend on different services. “How do we measure the success of outplacement?” Phil asked 10 of its consultants from across the UK who had travelled to Swindon for the celebration. Companies that are making redundancies are not legally obliged to help to those employees they are losing, but Phil insists the process is good for the business – as well as the individuals concerned. “Firms who look after their staff when they need to make cuts can maintain their public image, and uphold morale in the workplace among the remaining employees, who could otherwise be disheartened at losing their colleagues and having to pick up their workload. One Response to "Outplacement specialist celebrates 10 years with guarantee"